This is a free resource for healthcare professionals. 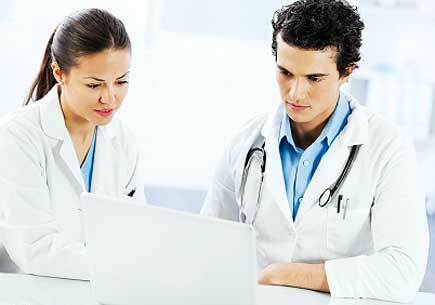 Browse our EHR software reviews and evaluation guidance. Take advantage of our free tool to compare systems that meet your organization's unique requirements. Electronic health record systems are reviewed from a usability and feature standpoint. However, compliance with US policy requirements weighs into evaluation as well. Health care organizations must be able to facilitate Meaningful Use workflows and accommodate reporting for programs such as PQRS. When utilizing HealthRecord.US analysis tools, be sure to designate the appropriate speciality or category to take advantage of our pre-qualification studies.